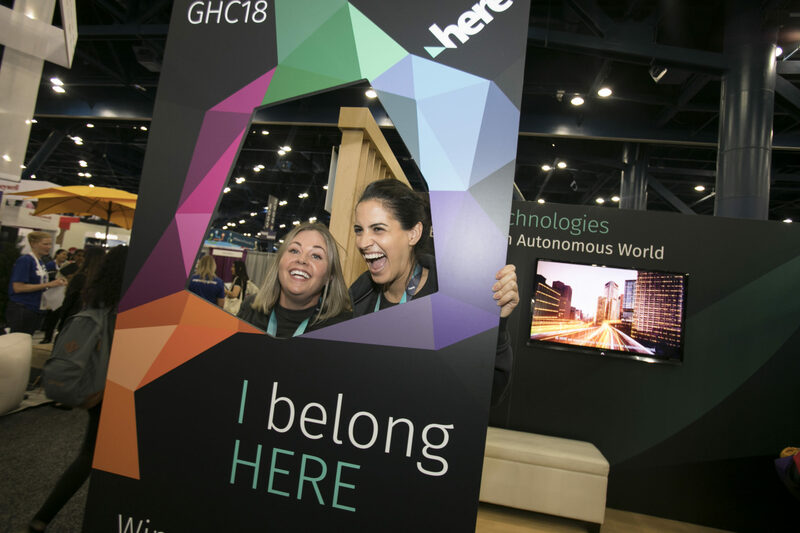 The Grace Hopper Celebration of Women in Computing (GHC) is a series of conferences designed to bring the research and career interests of women in computing to the forefront. It is the world’s largest gathering of women in computing. Named after renowned computer scientist Grace Hopper, the celebration was organized by the Anita Borg Institute for Women and Technology and the Association for Computing Machinery. The conference started in 1994 when two computer scientists Anita Borg and Telle Whitney sat down for dinner with the initial idea of creating a conference by and for female computer scientists. The first Grace Hopper Celebration of Women in Computing was held in Washington, D.C., in June 1994, and brought together 500 technical-minded women. Now twenty-four years later over 20,000 women in STEAM (Science, Technology, Engineering, Arts, and Mathematics) gathered in Houston, Texas for this year’s conference. 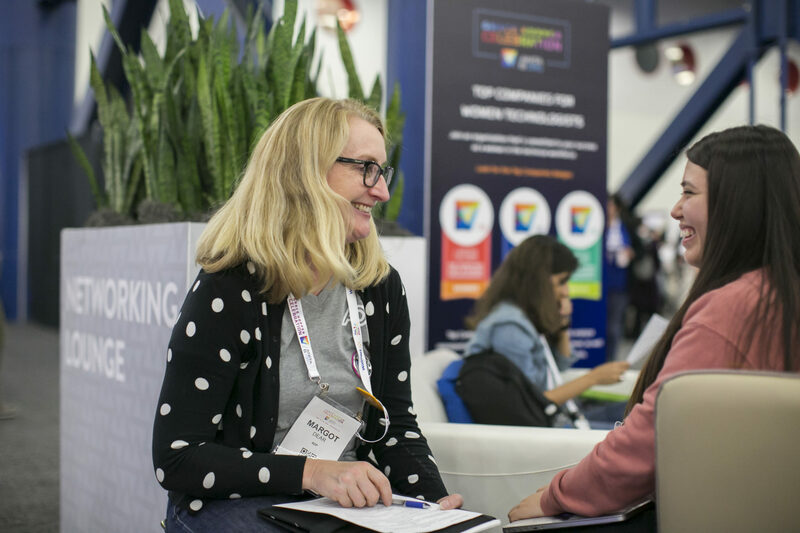 In addition to developing the above mentioned tracks, the conference featured a large careers fair with over 75 high-tech companies interviewing and hiring women in tech on the spot. Some companies included Walmart, Google, FaceBook, Disney, Target, and ADP just to name a few. There were many speakers that focused on the various stages of someone in STEAM’s career. As someone in mid-level management, I was particularly interested in some of the topics covered in Career Track. For example, Shattering the Mid-Management Barrier: Moving to an Executive Role or Managing Your Career as a Business: A Practical Guide both enhanced my personal experience as a business-minded woman in tech. There were also many talks that focused more on the tactical and hands-on stages of your STEAM career like Women in Gaming, Research in AI or Designing for the Human Experience. There were many female speakers from the tech industry, universities, and non-profit organizations. Some figures that attended include Constance Steinkuehler, Professor of Informatics at the University of California, Irvine, Catherine Courage, VP of User Experience at Google and Priscilla Chan, Co-founder, Chan Zuckerberg Initiative. 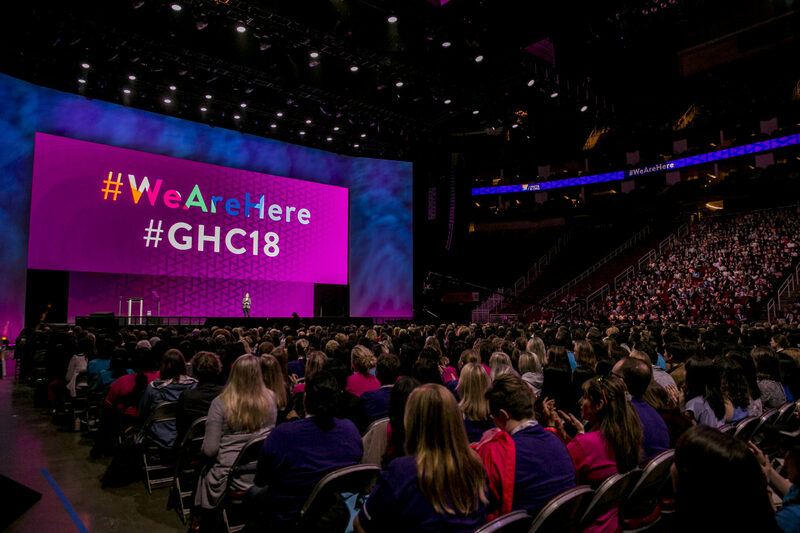 What struck me about the Grace Hopper Celebration 2018 was how organized and HUGE this event was – 20,000 women in tech all in one place! 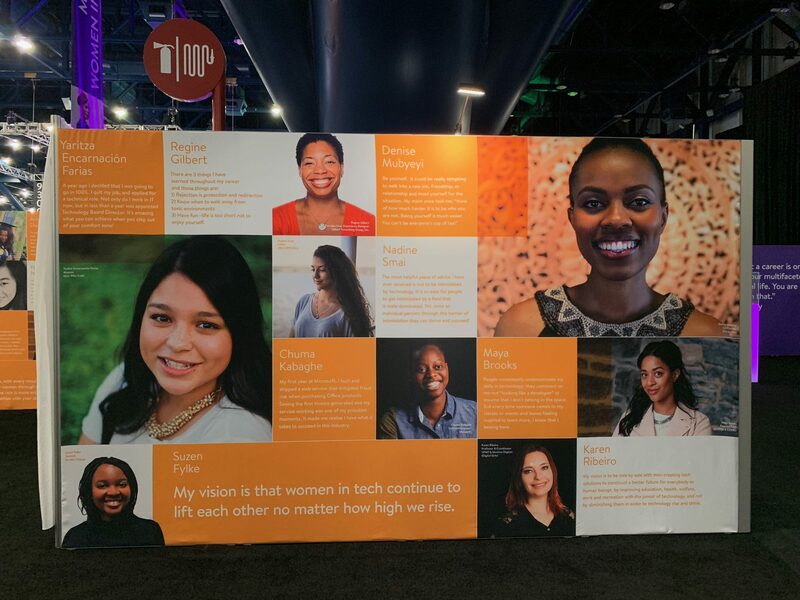 I was representing ADP’s women in technology during these three days and a big part of our commitment to WIT (Women in Tech) and STEAM was our booth at the Expo and the Careers Fair. Over the course of three days we hired both full-time and intern positions into all of our US offices. The 30 of us who were part of the conference shared a WhatsApp group chat where we were constantly getting asked to come to the booth to meet students who all had resumes in hand and were looking for positions in tech companies. These women were articulate, presentable, talented, and more than ready to join the workforce. ADP alone made job offers to 40 candidates. I can only imagine how many other women attending the event are looking forward to graduating with a job to go to soon after. This experience was not only inspiring but made me (re)realize how important mentoring is in our community. This was my first time attending this event, and though I was representing my company as a woman in technology, what struck me the most was the opportunity for women working in the field of User Experience to have more exposure to this event through attending and representing the discipline of UX or submitting talks to Grace Hopper. Though there was a larger focus on the disciplines of computer science and technology, user experience is slowly starting to come to the forefront of consideration. Thus, there is the opportunity for us to widen the scope for future attendees to engage with the discipline of user experience in relation to the consistent progress in technology.